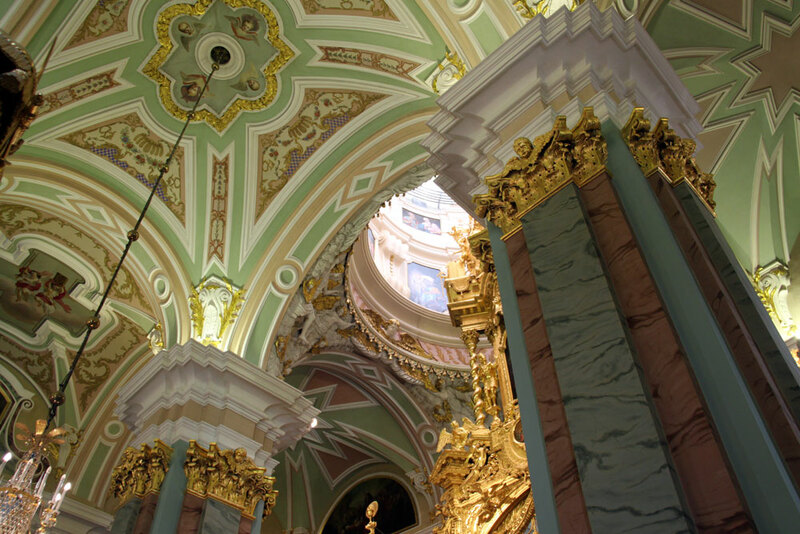 Images of the Cathedral of Saints Peter and Paul by Domenico Trezzini. 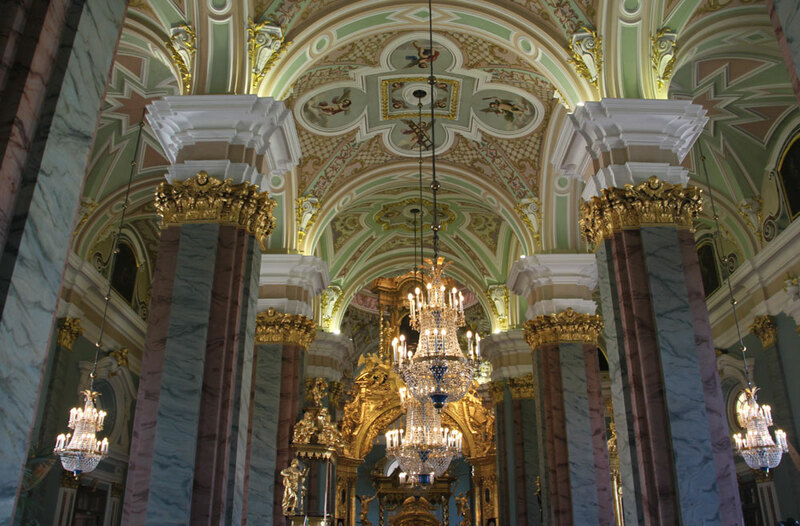 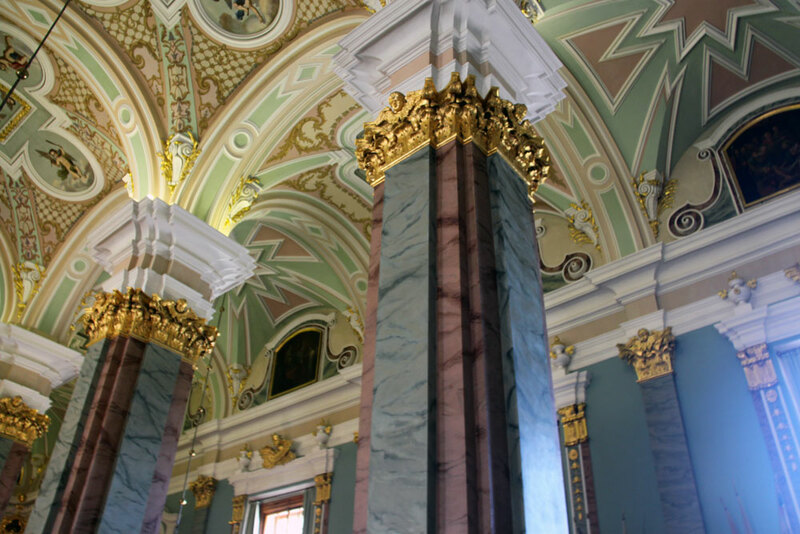 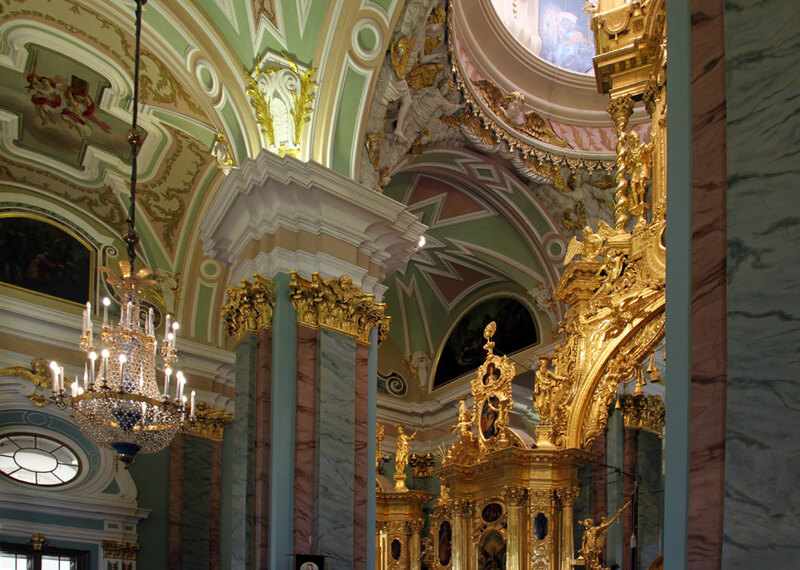 Like the plan of western European churches, the interior is divided into three aisles with faux marble piers with gilded Corinthian capitals. 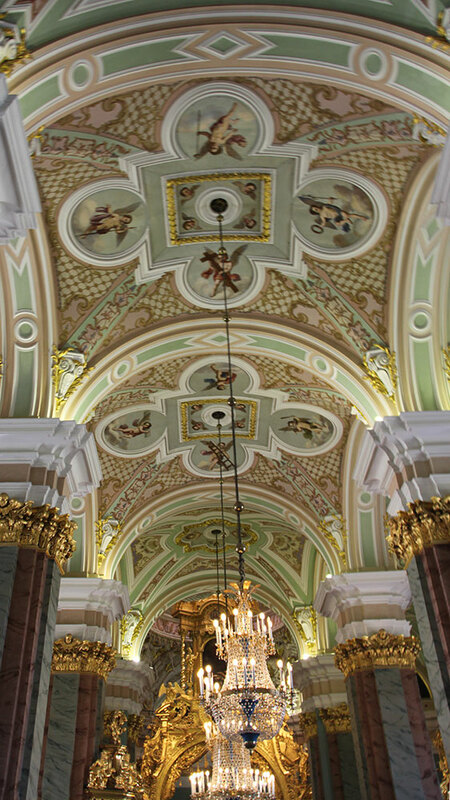 Painted mouldings on the ceilings seem to extend the space. 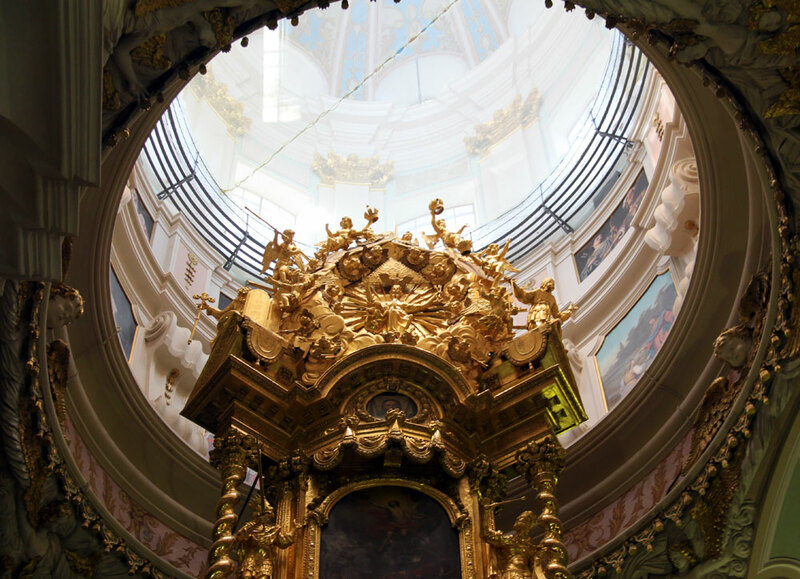 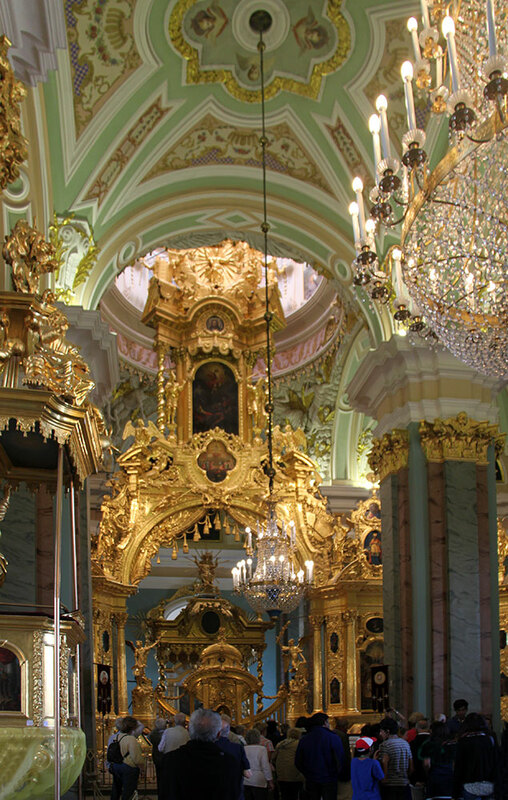 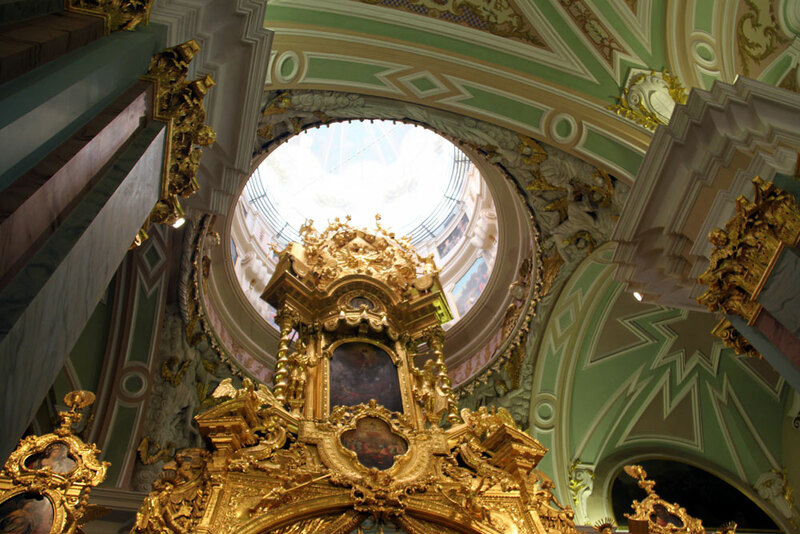 The dome is visible in the east end in the bay right above the iconostasis. 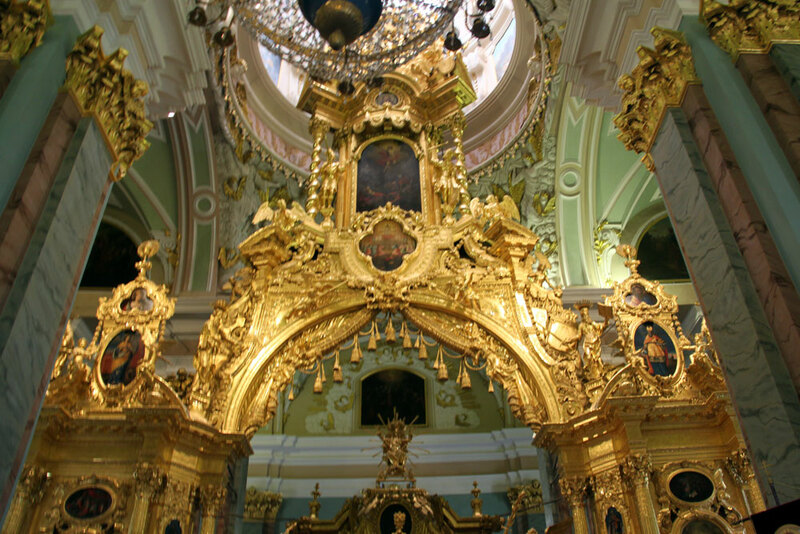 Brumfield says that this work "bears a closer resemblance to the triumphal arches erected to celebrate events of state--particularly Peter's victories--than to the elaborate icon screens of the late seventeenth century. 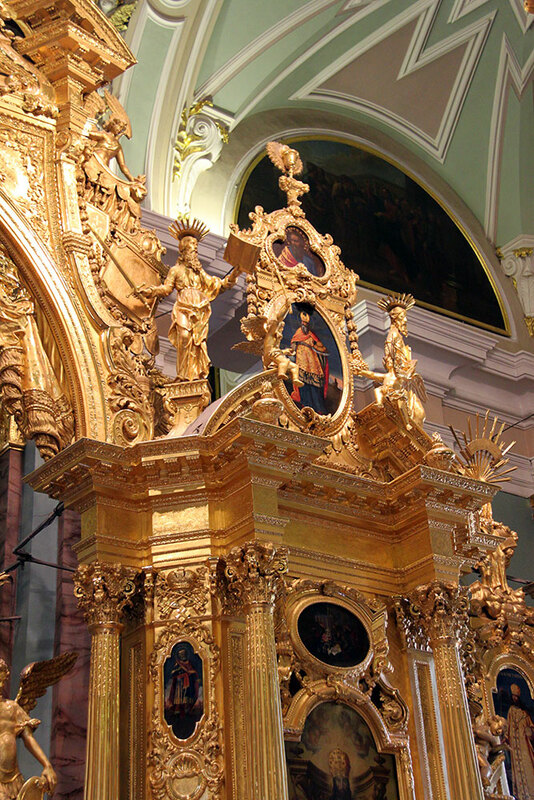 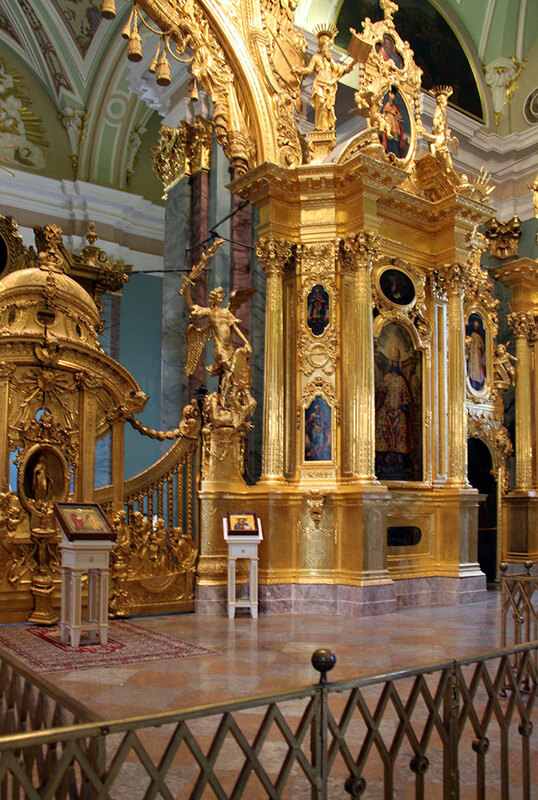 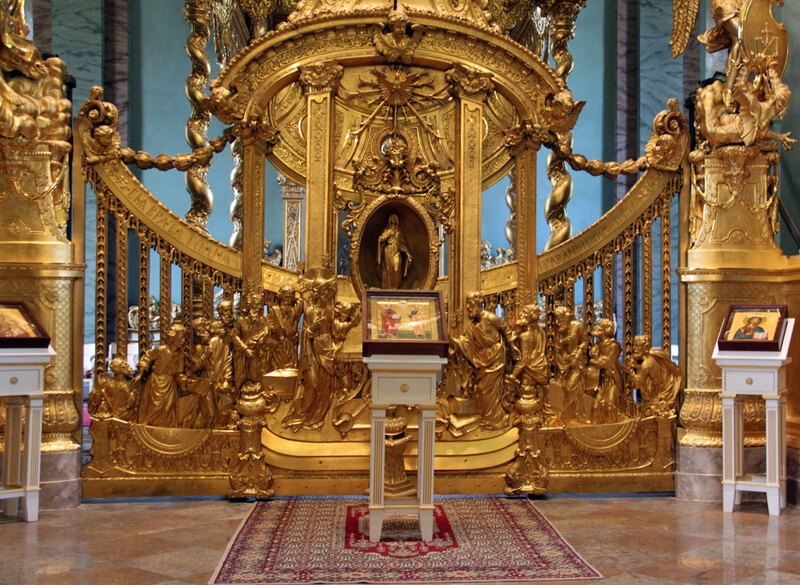 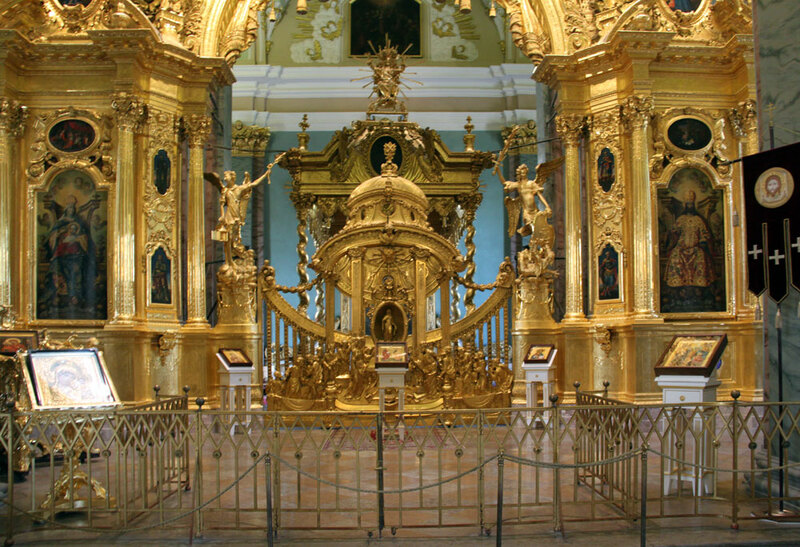 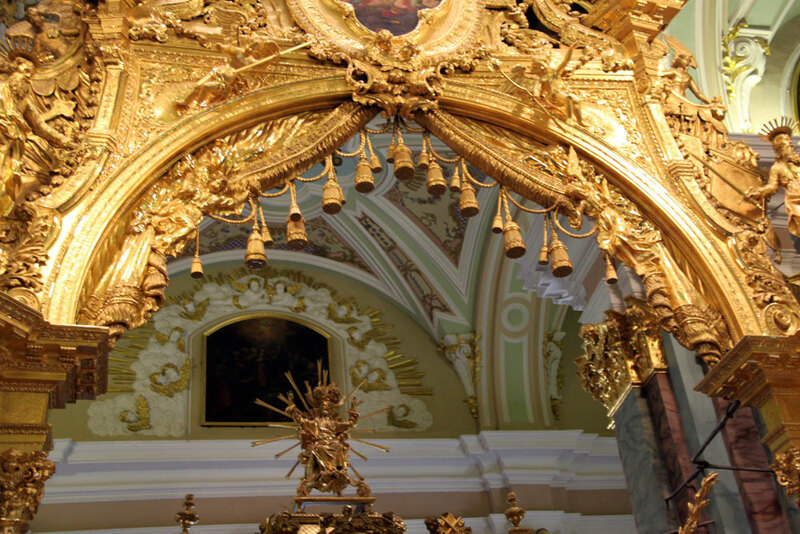 Yet the craftsmanship of the latter was readily adaptable to the demands of the baroque style, of which this iconostasis is the most accomplished example" (211).